Teal is the color chosen to represent and raise awareness for sexual assault survivors. Please join us in wearing something teal to show your support for victims of sexual violence and for those working to end violence in our homes, communities, and nation. 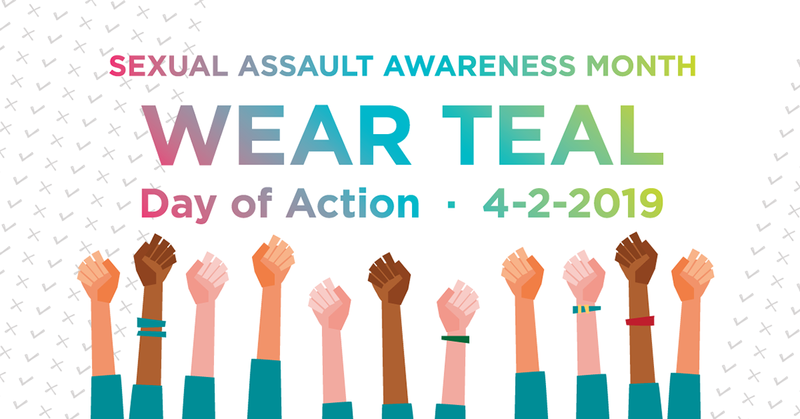 We want you to take photos of you and coworkers wearing teal and comment/email/message them to us so we can post on our internet accounts how we as community support and stand up against sexual assault!